It is advisable to bring all your medications with you in the amounts sufficient for your entire stay. Dosages vary, as do brand names of pharmaceuticals, and making the transition from one form of medication to another ostensibly resembling your current prescription can be both uncomfortable and ineffective. If you wear glasses, you should consider bringing an extra pair or, at least, your prescription. Italian customs will charge a substantial tax on glasses, medications, lotions, creams, etc. that arrive via mail or courier. 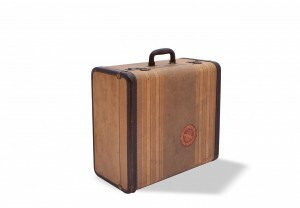 We always advise students to bring far less luggage than they think they will need. As of recently, many airlines have started reducing the maximum weight and size of the suitcases they carry for free, and they are increasingly enforcing what used to be a generally overlooked set of rules and penalties. Pay close attention to these restrictions on overseas flights because excess baggage can be very costly. 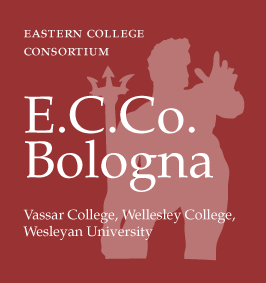 Bologna is at the same latitude as Boston; the summers can be hot and the winters cold. Remember to bring a small backpack for short trips. Your dorms will distribute sheets, a comforter, and a pillow. Students are responsible for washing their own bed linens in the coin-operated washing machines in each studentato. Please either bring or buy your own towels. You will be able to use your American cell phone in Italy (with an Italian SIM card) only if you get it “unlocked” before your departure; otherwise, you can purchase an inexpensive phone, a SIM card, and a pay-as-you-go contract in Bologna. Find out whether your bank has a partner bank in Italy (e.g. Deutsche Bank). If so, you might be able to withdraw cash from their ATMs without paying the extra fees.